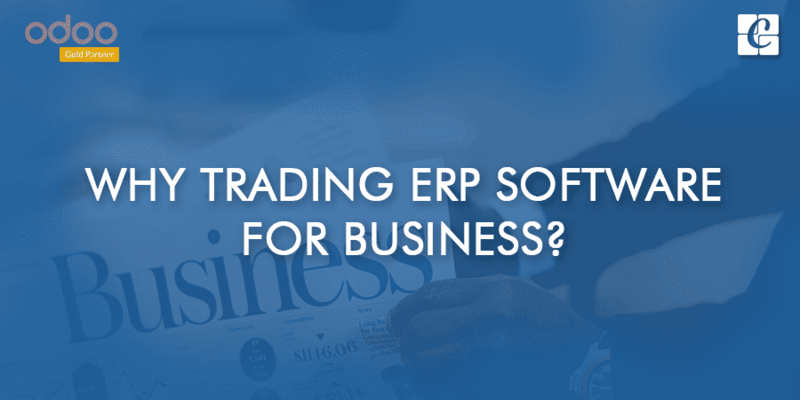 Why Trading ERP Software for business? Today an Enterprise Resource Planning (ERP) software is a must factor for back office to function more effectively and productively. An ERP definitely changes the dimensions and facet of a business, no matter how big or small they are. In the present scenario, ERP is considered to be an inevitable choice, featuring every business functions like Human Resource, Accounting, Warehouse Management, Customer Relations Management, Trading and Manufacturing, E-commerce etc. This article helps you to understand the importance of an ERP in trading industry/business. A trading industry faces several micro and macroeconomic challenges in their trading business like unpredictable consumer behaviors, demand fluctuations, and changes in regulations etc. As ERP is an infinite solution application, in trading, it caters to different trading industry needs. One should understand that an efficient and best trading software will definitely help the traders to overcome both present and future challenges. Before the implementation of an ERP software in trading, one should have a basic understanding of the trading business workflow. Every trading business has its own characteristics and they work different compared to a manufacturing or service industry. Trading works on the concept of stocking goods in the warehouse and further selling them to the potential customers across regions when demand/sale arise. Therefore a powerful tool for pre-planning the stocks and inventory is a must, which inversely get proportional to the profitability and customer satisfaction of the trading company. As Trading organization maintains different warehouses at different locations, we need to update them on a real-time basis for better decision making and ERP helps a lot to keep this information intact. Let us see how effectively an ERP functions in Trading Industry and how they accomplish all tasks in trading. A Trading ERP comprehensively covers every aspect of customer relationship management to human resource management, warehouse to supply chain and business accounting for small, medium and large business management trading enterprises. It enables you to monitor the business performances by enabling actionable information to every decision maker in the enterprise. To further enhance the efficiency in Trading Business, Odoo/Open ERP has come up with lot of enriched custom modules and applications that offer a wide range of services in implementation, customization, integration, training, and support. 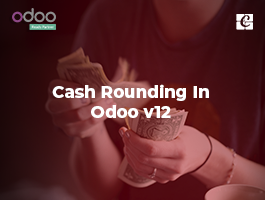 Therefore the choice of Odoo for trading service enables you to build the right strategy for a better performance. With the implementation of ERP in Trading Industry, one can ensure the following benefits. As trading ERP is integrated to Customer Relation Management, the right implementation of trading ERP can bring in great effectiveness in managing the customer relation operations in trading. A trading ERP helps to prioritize the follow up of sales activities in the pipeline, helping to meet the targets effectively. A trading ERP also track the sales stages and also schedule meetings directly from the opportunity of the customer. It gathers all the necessary inputs and insights of ongoing business activities, keeping the trading operations and customer relationship management healthy and transparent. In short, it routes every business activities generating more possibility of sale resulting in more income generation. With an Open ERP/ Odoo, your trading business can undergo a high degree of customization, making the software flexible and adaptable for new changes. Open ERP/ Odoo paves a platform for individual customization, meeting all desired business strategies and needs from potential clients. For example, it enables to design a custom dashboard to get an insight picture of your warehouse efficiency at a glance. A Trading ERP serves you with strong Warehouse management module with end number of features ensuring productivity, efficiency, consistency, and quality control. By effectively managing the internal and external locations, customers, suppliers or manufacturing inventories, a trading ERP provides real-time data and precise business information, enabling better decision making among traders. A trading ERP efficiently controls and manages all the incoming shipments and thereby prepare the inventory controls. In case if your warehouse is in multiple locations, an efficient Trading ERP effectively takes care of multiple location management making the inventory operations smooth and transparent. In short, the strong warehouse management decreases your processing time, enabling workers to generate more quantity of work in less period by allocating the right resources at the right time. 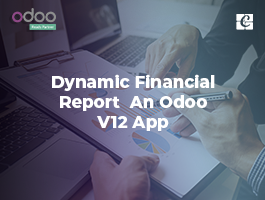 An Open Source ERP/Odoo encompass a strong warehouse management designed to scale from few thousands of operations to several millions of transactions. In addition, a Trading ERP, ensure complete traceability of all operations executed between customer and supplier. A trading ERP comes with several features like Lot tracking, Activity log, serial number tracking, and perpetual variation keeping an eye on the stock It also helps in forecasting all the future inventory transactions in one click. With the help of a trading ERP, one can easily track in detail all the stock moves, not only confining to the particular warehouse but also its counterparts like double-entry moves (customers, suppliers or manufacturing locations). A trading ERP helps in achieving the traceability over a product by analyzing every upstream and downstream course of action. A trading ERP successfully manages the product types, kits, products with multiple variants, and multiple units of measurements. All trading operations right from receptions, picking, packing and delivery orders are set at high speed with the barcode scanner and touchscreen interface. A trading ERP assigns serial numbers at every step of reception and delivery improving the traceability. The tracking facility with serial numbers using barcode scanner saves sufficient time in managing your resources and customizing the routes for customer delivery processes. An Open Source/ Odoo ERP enables to customize routes and picking/packing operations to support your own customer delivery process. e.g. : pick -> pack -> ship. 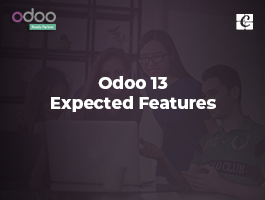 Odoo supports most picking methods out-of-the-box like; wave picking, batch picking and "by order" picking. A trading industry works in different levels. Right from managing the stocks of goods to further selling them to the potential clients, it has different segments of people under the different category to process each different set of actions. An effective human resource management in Trading ERP thereby helps to streamline the management of human resource in the trading industry. An HR management software within the ERP helps to maintain a robust database for storing all kinds of information like the employee contact information, salary details, attendance, performance evaluation and also the facilitating the promotion of employees for better working initiation. An Odoo/ Open Source ERP enables with excellent HR features to manage the human resource in the industry. 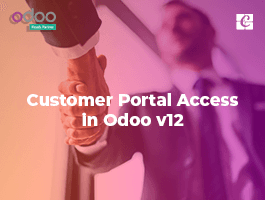 The features like Employee Dictionary, Attendance, Leave Management, Payroll, Expense Management, Timesheet management and Recruitment management for the industry makes Odoo HR module different from other ERPs. As shopping and consumption characteristics of consumers are rapidly changing, POS for any products/ services is very important for marketers. POS plays a crucial role in influencing the purchase decision of employees. For e.g. businesses set up POS near the store exits to attract the customers and thereby increase their purchase level. The department stores often have POS for individual product groups, such as appliances, electronics, and apparel. The designated staff can actively promote products by giving attractive offers like discounts, privilege cards, free gifts and much more. The big retail stores that use mobile devices or terminals as POSs can easily improve checkout efficiency and customer service. 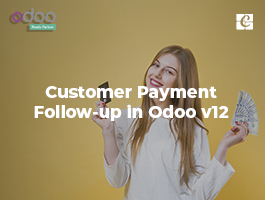 With Odoo Point of Sale, one can facilitate functionalities like discount and loyalty programs support, multiple payment type support and customer-specific management offers. With the advent of E-commerce, today shopping is made more interesting and hassle-free. POS is an opportune place, where one can utilize this digitalization technique to give excellent customer experience. In nutshell, a trading ERP has a great potentiality to boost the business and efficiently transact each trading activities, have a quick glance once again. Cybrosys, an Odoo official partner, offering an unprecedented range of Odoo services. Our main industrial domains are trading and manufacturing. To avail our Odoo service, kindly drop your requirements to info@cybrosys.com.